This copy is signed by the author. I like Much Wenlock and bought this book by a local author in the bookshop in the High Street. It is signed by him. 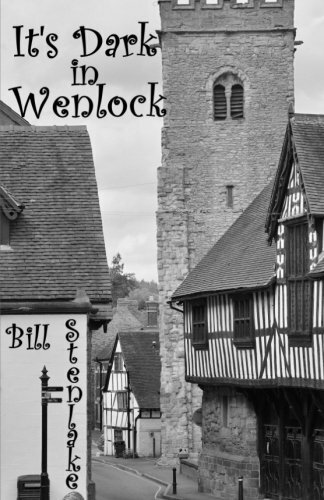 It tells a ghost story from the perspective of both the narrator and the ghost and with all the historic buildings in the town and the geography of the place with Wenlock Edge looming in the background the author had plenty of inspiration. He also mentions lots of local businesses so it is as much a promotion of the town as it is a work of fiction. The story is a little repetitive and I found the attitude of the police detective rather unrealistic as I doubt he would really have involved the narrator as much as he did but then that's what poetic licence is for. This is going off in the Town and Country Bookring Round 3.
chosen from the town & country bookring. I love ghost stories!